Dr. Vera Jelinek’s mission to create a community of global citizens has spanned over two decades at New York University. After an initial career in international educational exchange, she joined NYU as the director of International Programs, Social and Natural Sciences. While overseeing the growth of programs in the School of Continuing and Professional Studies, Jelinek envisioned and established a new department of international affairs. In 1999, the prestige and overall excellence of the international affairs program allowed Jelinek to found The Lillian Vernon Center for International Affairs at NYU. The Vernon Center provided Jelinek with the opportunity to develop innovative and compelling public programs that attracted world leaders, the U.N. community, authors, journalists and scholars in international affairs. women’s movements. She serves as the Coordinator of the Energy and Environment concentration at the Center and is faculty advisor to the Energy Policy International Club. She held a two year fellowship from the Carnegie Council for Ethics and International Affairs and received a Fulbright Hayes Doctoral Dissertation Research Award, Teachers College Columbia University Dean’s Grant, National Security Graduate Enhancement Fellowship, IREX Caspian Sea Fellowship, IREX travel grant for study in Kazakhstan, and an IREX Individual Advanced Research Opportunities Grant to examine the impact of natural resources on civil society development. In recognition of her unwavering commitment to education Dr. Kissane was awarded the esteemed NYU Excellence in Teaching Award in 2007 and nominated for the NYU-wide Distinguished Teaching Award in 2008 and 2009. She received the SPS Award for Teaching Excellence in 2009. In 2009 Dr. Kissane received a grant from the Canadian government to lead a group of students to visit the Canadian Oil Sands in Fort McMurray and to visit with oil sands leaders in Calgary. Her work with Canada continues in the form of event partnerships and a special series on the Arctic which she is organizing with the Government of Quebec. Complementing her academic, public service and consultant experience, Kissane is the author of numerous publications including an article on history education in Comparative Education, Freedom House: Countries at the Crossroads report on Kazakhstan, Central Asia, Great Decisions Series, and Evaluating Human Rights Education. 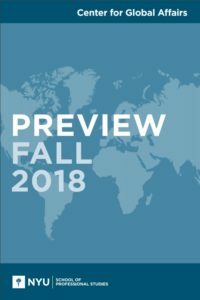 She also has chapters on transitional challenges in education in Central Asia and human rights education in Europe, an article on Girls’ Education and Democratization in the Post-Taliban Era and another focusing on the oil extractive industry published in Globalization, Societies and Education. Dr. Kissane received her Ph.D. from Columbia University. Alice Eckstein joined the Center for Global Affairs in 2008 as associate director of non-degree and public programs. She was previously manager of regional alumnae programs at Barnard College. At the Newberry Library in Chicago, she was coordinator of professional development programs for teachers. She has a MA (History) from the University of Chicago and a BA (Political Science) from Barnard College. 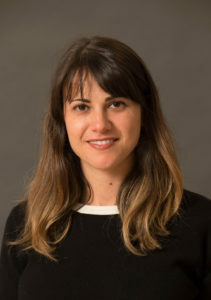 Cori Epstein has been with the NYU Center for Global Affairs (CGA) since 2006 and is currently the Director of Graduate Program Administration. 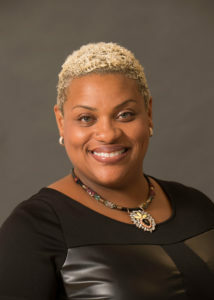 Prior to joining the CGA, Cori worked on school reform initiatives at the New York City Department of Education and on youth development programming at the Partnership for After School Education (PASE). Cori holds an M.A. in International Education from NYU Steinhardt and a B.A. in History from Brown University. Michelle holds a B.S. in Marketing and Advertising from F.I.T., a Professional Certificate in Fundraising from the NYUSPS Heyman Program, and a M.P.A. from the NYU Wagner School of Public Service. She has worked in the noncredit and public events area of the Center for Global Affairs since 2006. In her role as Director of Noncredit and Public Programs, Michelle oversees robust global affairs offerings within Career Advancement courses, High School Academy, and Advanced Diplomas. In collaboration with Executive Director Alice Eckstein, Michelle manages and supports 40-50 public events throughout the academic year. Prior to working at CGA she served as a Senior PC Support Technician for NYUSPS. Anila, a proud alumna of NYU SPS’s Global Affairs program, joined the CGA as Assistant Director in August 2015. Previously, she worked as Director-Publisher at the North American Congress on Latin America, as the Communications Manager for the New Media Advocacy Project, and as a researcher at Travel + Leisure Magazine. Anila holds an M.S. in Global Affairs with a concentration in Human Rights & Humanitarian Assistance and a B.A. in Latin American Studies from Oberlin College. She loves to travel, cook, and do yoga. Anna Mosher is an assistant director at the Center for Global Affairs. Her primary role at the Center is serving as the administrative support for the CGA’s sponsored program activities and special programs. She started at the Center in the end of 2010. A Michigan native, she graduated from Western Michigan University in 2008 with a double major in English Literature and the Spanish Language. Katie holds a B.A in History and Religious Studies from the University of Central Florida and is an alumna of the CGA, holding an M.S. in Global Affairs with a concentration in Peacebuilding. She taught for five years at the middle and high school level, instructing courses and designing curricula in world history and comparative religions. Mostly recently, she spent a year in Jackson, MS implementing a global studies and peace education curriculum developed as a component to her graduate thesis. Additionally, Katie has spent time working on peace education programming in Timor-Leste. Crissy Lederman is a program administrator for the MSGA. In addition to advising students, Crissy’s role is to support the administrative processes of the program. Growing up as a Los Angeles native, she earned her BA in California and later went on to NYU to earn a MA in International Education at Steinhardt. Having a keen interest in global affairs and international exploration, Crissy is excited to be a part of the CGA team! Shani has a B.A. in Music (voice) from Hunter College in New York City. She was an Executive Assistant for the Reformed Church in America for 15 Years prior to coming to NYU. There she worked with the Missional Mosaic (Advocacy) team, Racial Ethnic Councils, and Women’s Ministries. In this role, she played an integral part in its expansion and success, working with the Coordinators on team initiatives, events, and meetings. Shani is very excited to be at the SPS Center for Global Affairs. 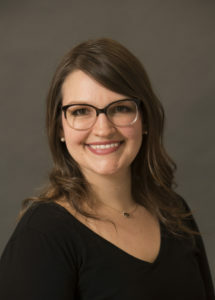 Kaci Forest is the Administrative Aide in non-credit and public programs at NYU’s School of Professional Studies at the Center for Global Affairs. She has a background in Advertising and Communications after attending the University of North Florida.